This is a photo of a Haitian farmer harvesting coffe beans in Haiti. 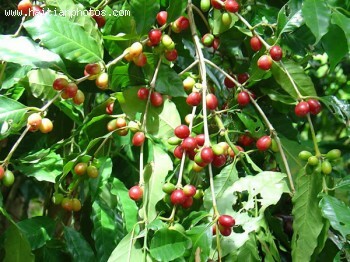 Once upon a time, Haiti was the biggest coffee producers in the world. After its independence, Haiti was unable to trade with the rest of the world. 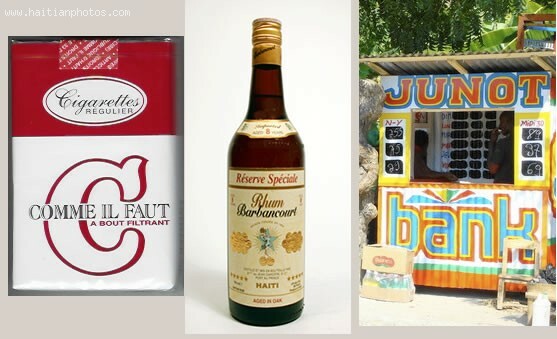 The Haitian coffee couldn't be sold in the world's market until 1830s in Europe and 1960s in the United States. 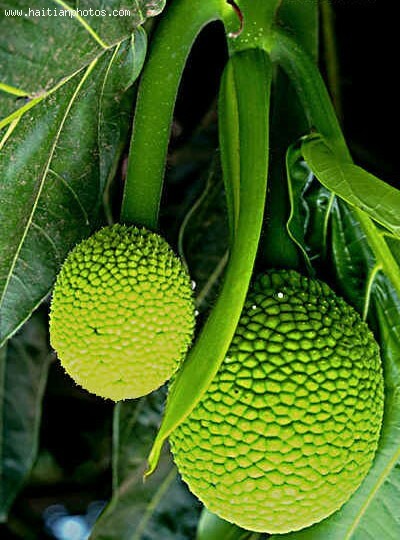 Here is a picture of the nutritious food called breadfruit. 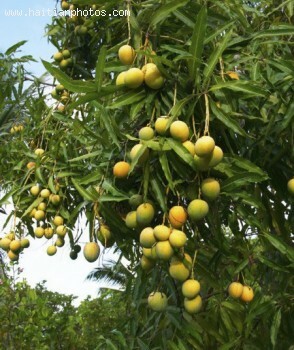 Its growing season ranges from May all the way to September. The name Breadfruit is derived from the fact that when it is baked, this fruit turns bread-like in color and mouth-feel. 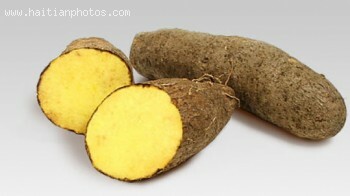 Here is a picture of breadfruit. This is a fruit of the mulberry-tree family. 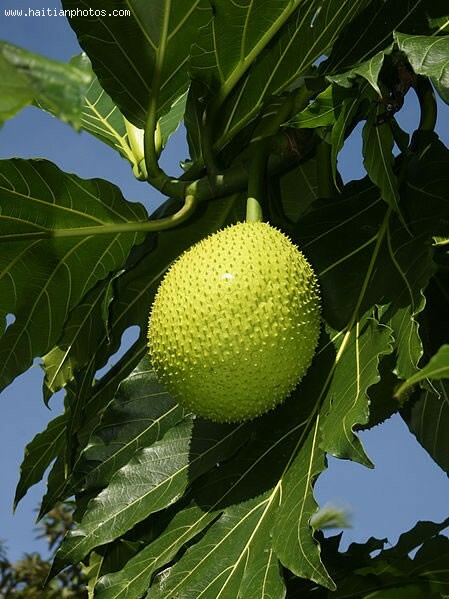 Breadfruit is associated with other fruits grown in tropic countries such as breadnut, jackfruit, and figs, among other tropic fruit varieties. A brand new way of promoting health in the Haitian community in Miami. 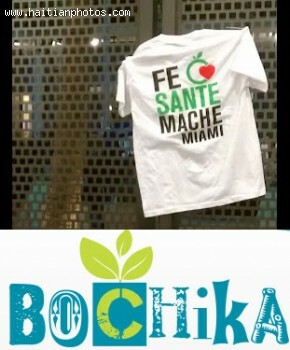 On January 7th, Bochika opened the first Farmers Market in Little Haiti. The market which has for purpose to promote healthy eating will be open on a weekly basis from 10 a.m. to 2 p.m. at Toussaint Louverture Elementary School in Miami. The Little Haiti Farmers Market is a not-for-profit community event that invites vendors to gather to sell affordable, fresh, and locally grown fresh fruits and vegetables foods. The food products sold directly to the consumers. The Bochika Little Haiti Farmers Market has plan to expand as it trying to address the needs of the Haitian community. For now, it is working in collaboration with community services to offer other services such as free health screenings, wellness workshops, children's activities and some entertainment. 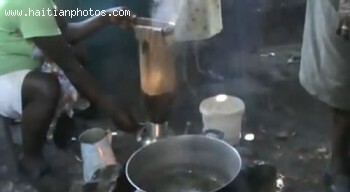 What you are watching here is the making of coffee by a Haitian woman. This is called greg and it us used to drain the coffee. 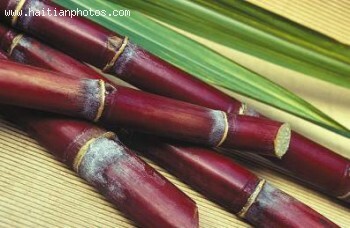 By the way, most Haitians drink their coffe black. Adults as well as children drink coffee in haiti.